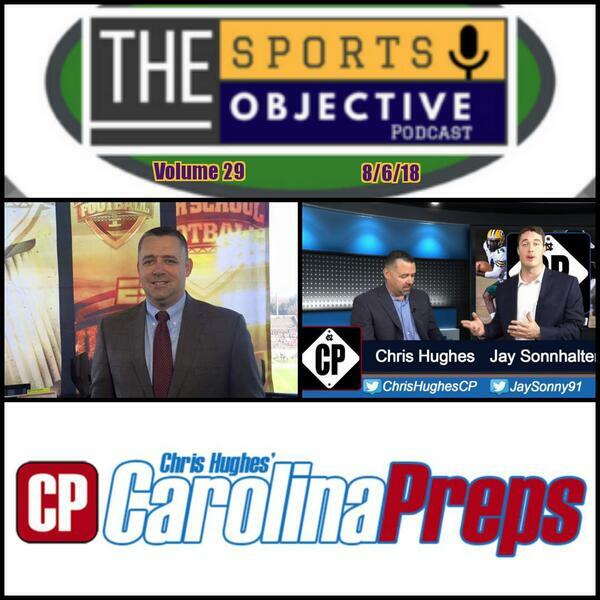 With North Carolina high schools playing their season opener in less than two weeks, we sat down with Chris Hughes of CarolinaPreps.com for an extended preview of what to expect in the prep ranks during the 2018 campaign. Chris, a graduate of South Rowan High School and former coach, does a tremendous job of covering all classifications (4AA-1A) in the state of North Carolina. Follow him on Twitter @ChrisHughesCP for updates throughout the year! Stay tuned for the rest of our in-depth preview of North Carolina HS Football preview, as we will chat with beat-writers from around the state, coaches, and more! Follow us on Twitter @TheSportsOBJ and like The Sports Objective Facebook page to get alerts when we post new podcasts!